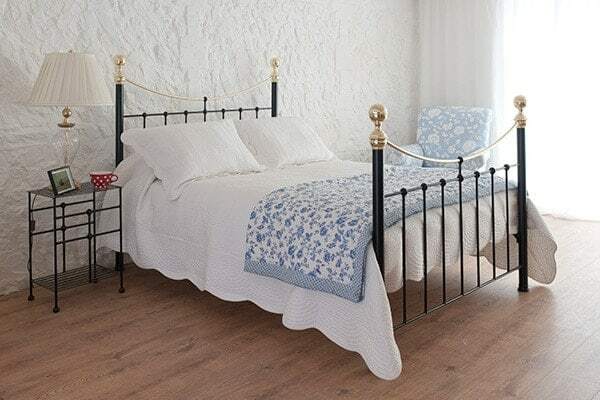 Beds | Wrought Iron Beds | Wrought Iron & Brass Bed Co.
With over a decade of experience, our range of beds will exceed expectations. As our beds are hand made on the Royal Estate of Sandringham, Norfolk within our own workshop, we can offer a level of bespoking that no others can. Meaning your bed is made just for you… to read more about the different options available please click here and if you have any questions no matter how big or small, you can always call us contact us by phone, email or popping into our royally located showroom. 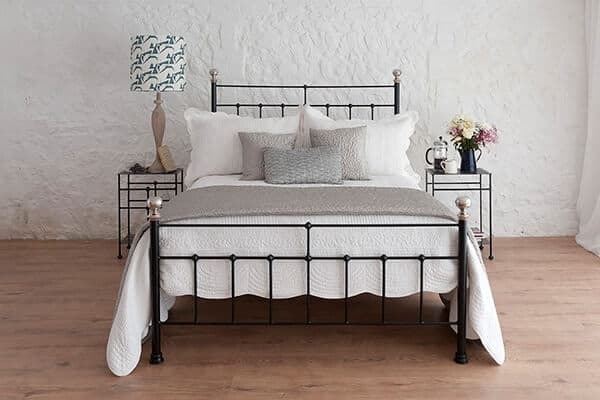 Loved for their simple and classic designs, our range of iron beds are available in all sizes and a choice of finishes. 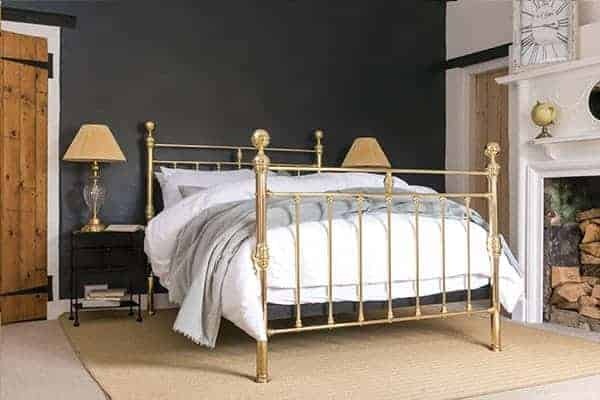 Detailed with authentic brass or nickel top rails and chunky hand spun finials, our range of iron & brass beds offer heritage design’s, style and a sense of nostalgia. Plated in a variety of finishes, our range of brass and nickel beds combine traditional, classic look’s, with minimal maintenance and a contemporary flare. Adding a little touch of fun and colour, to our some of our favourite iron beds. Our little beds are not only the place for sleeping, the place for imaginative dreaming. 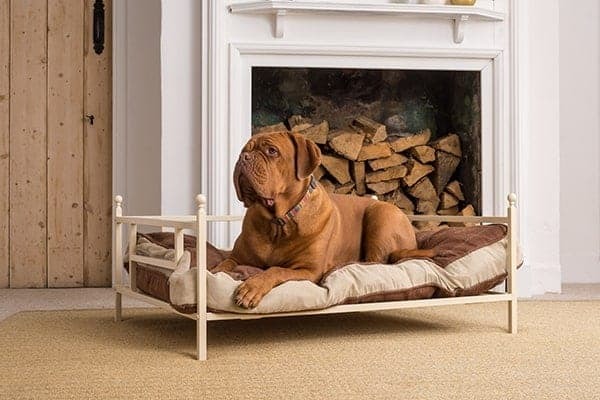 Not forgetting man’s (and ladies) best friend, our iron dog beds shall keep your four legged companion, our of drafts and are practically indestructible. Whether you’re looking for an iron and brass bed for your children or for yourself in the main bedroom, we have it all. Take a look at our iron beds in a variety of sizes and styles. We’re always on hand to help you choose and with all of our beds being made by us we know them better than anyone else. Rest easy knowing that our beds come made to the highest quality with the very best materials. We know how important the bed is in your home and that’s why we put so much care and time into making them. With over 10 years in manufacturing and now a member of The Guild of Master Craftsmen, we appreciate that everybody has their own individual taste and style. 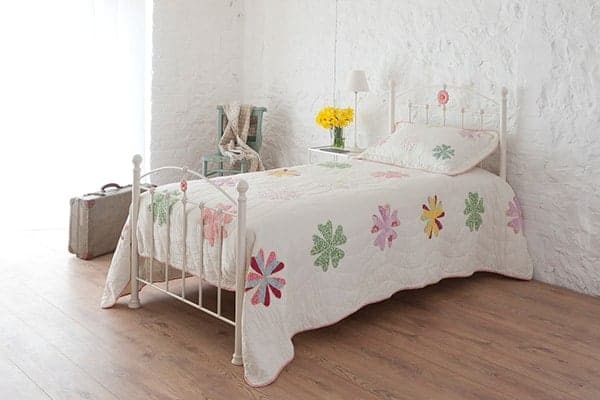 That is why we offer a wide range of designs and finishes on all of our wonderfully hand crafted iron beds, all made to our high standards in quality and to mark this level of quality, each bed is stamped with our mark of approval. As we offer such an extensive guarantee, the raw materials we use must be of the highest of quality to withstand our manufacturing technique. Nearly all our raw materials are sourced from within Great Britain, meaning we have a greater control over the overall quality of our products. As we make all our beds, we can offer a level of customisation that can not be matched by other bed companies. Our goal is simple, we want to make a bed perfect for you, if our website does not offer the right “configuration’ of bed, that does not mean we can’t do it. If you have any questions please call our showroom on 01485 542516, where we will be happy to help and answer any questions you may have. If you are looking for a particular metal bed type, why not take a look at our metal bed guide today and decide which one is your favourite.